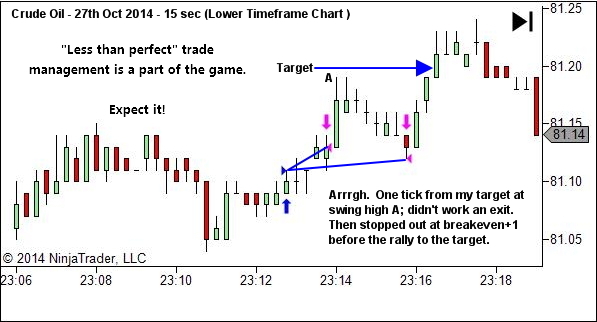 What do you do when you discover one part of your trading plan consistently underperforming? It might be one particular setup. It might be one particular type of market environment. 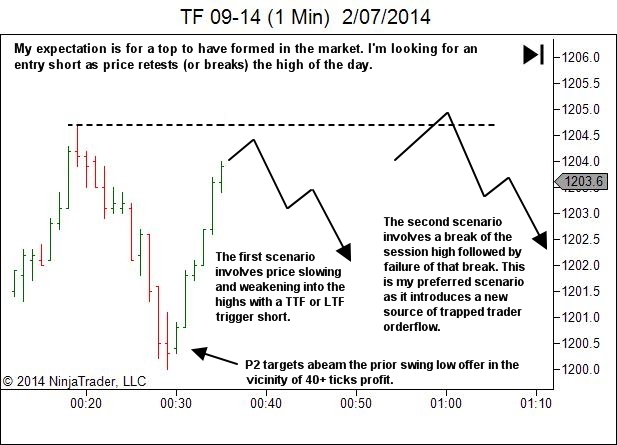 Or it might be any other subset of your trading plan which you're tracking through your spreadsheet. Either way, that subset of data is providing a negative expectancy and damaging your overall edge. 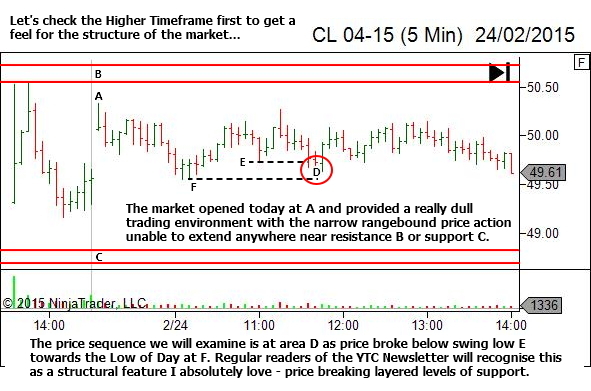 Common advice is to just drop that part of your trading. But it's not the only option. 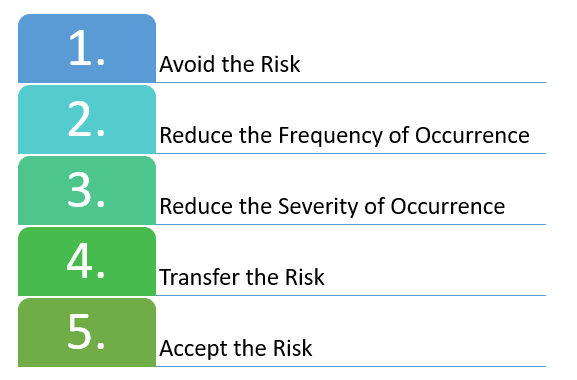 In general risk management theory there are five methods for dealing with negative risk. Let's scrap the last two as they're not really appropriate to our situation. Option 5, accepting the risk, is not a solution. It's negatively impacting your edge. Even if this is more than adequately overcome by the remainder of your trading, this is not something we're willing to accept. And option 4, transferring the risk, would be something like trading other people's money. Again, not applicable in this case, as it doesn't really solve our problem. So that leaves us with three options. Option 1, avoid the risk, is the common advice. Avoid the risk entirely by just avoiding these sequences. But it's not the only option.And often we just "know" there is potential within that negative expectancy performance. Somewhere. We just have to find it. So let's look for additional options. 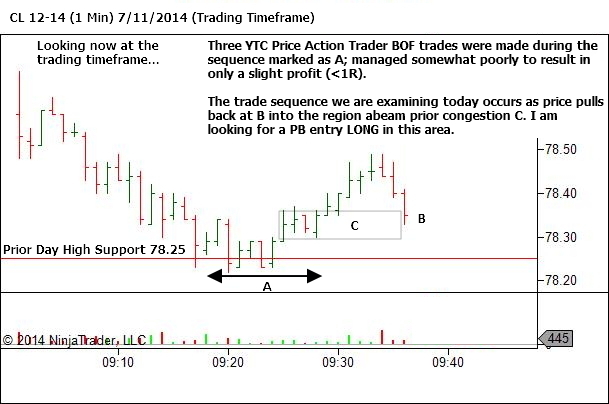 Option 2 allows us to continue trading these sequences, but not all of them. We still want to trade. But we don't want to trade them all. 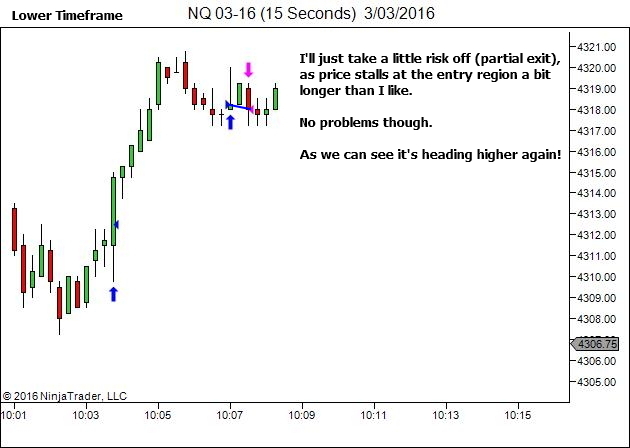 So let's see if we can filter out the marginal trades, leaving only those A+ trade opportunities. Dig deep within the stats and data for this setup. There may well be certain conditions which provide a positive expectancy. 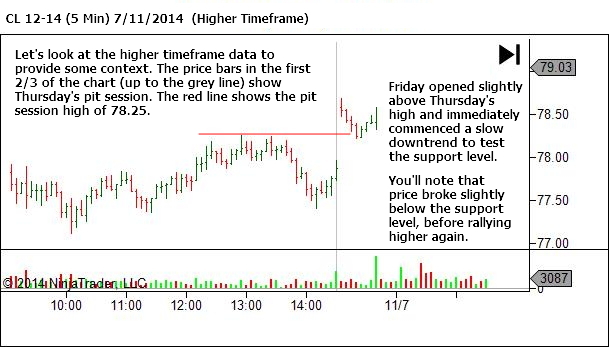 This will allow you to continue trading live, but with a smaller frequency. 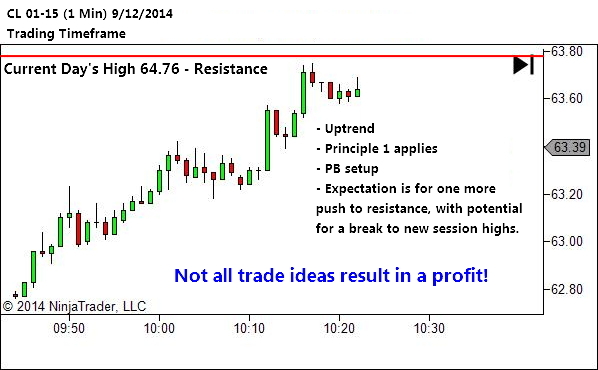 Only trading this setup when these specific conditions are met. Or if you are absolutely sure that you can develop skill over time, to take your negative expectancy performance into positive expectancy territory, then option 3 might best suit your needs. 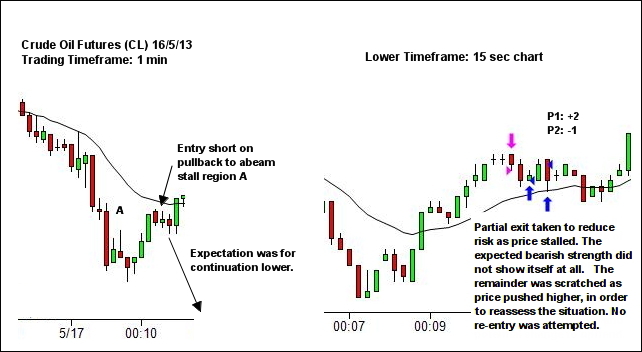 Option 3 allows you to continue to trade as before, but in a way that is much safer and has less negative impact upon your edge. The extreme case here would be to trade these sequences in sim mode, rather than with live funds. Track your sim results separate to your live results. But you might also prefer to simply cut position sizes. Markets such as spot forex offer significant flexibility here, with the ability to trade right down to the micro-lot level. 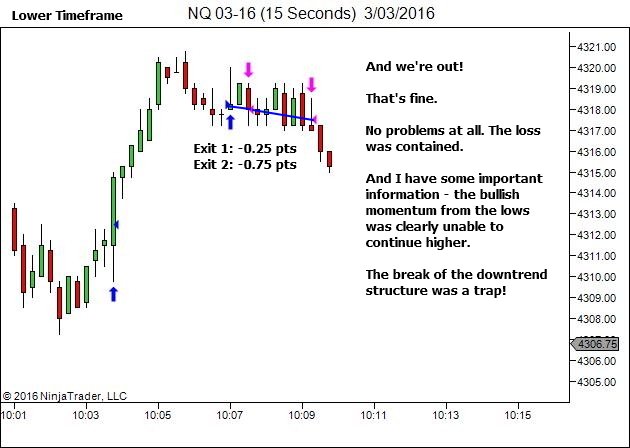 Positive edge sequences can continue to be traded at normal size. 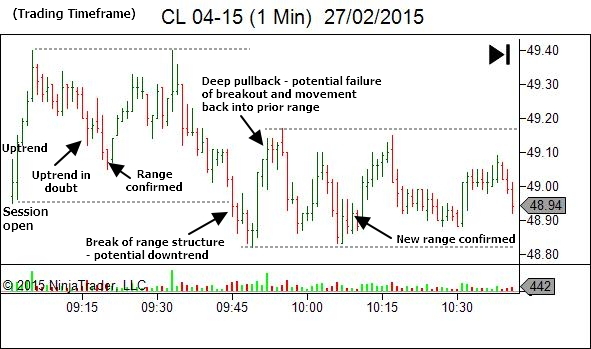 Those sequences which are currently showing a negative edge should be traded at reduced size. 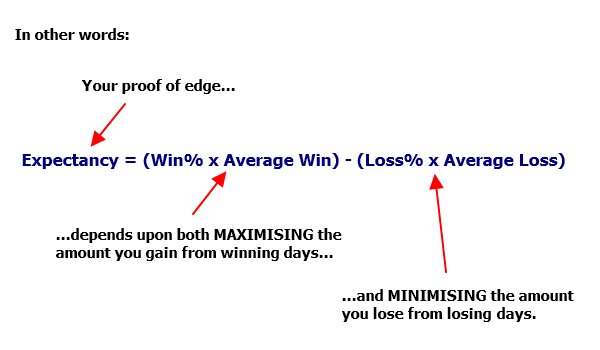 Through tracking your stats you find that you "mostly" have a positive edge in your trading. Except in one particular market environment, in which you find yourself repeatedly trying to fade the market. It's one of those situations where you get it right often enough to sense you have potential in this environment. 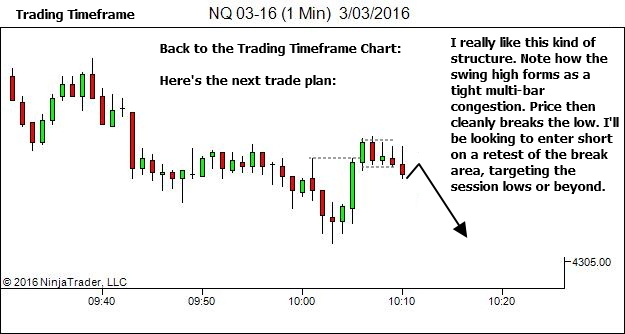 But get it wrong often as well and end up taking a positive session to your daily drawdown limit. The end result with these sequences is a negative expectancy over time. Here's an example of what we're dealing with. 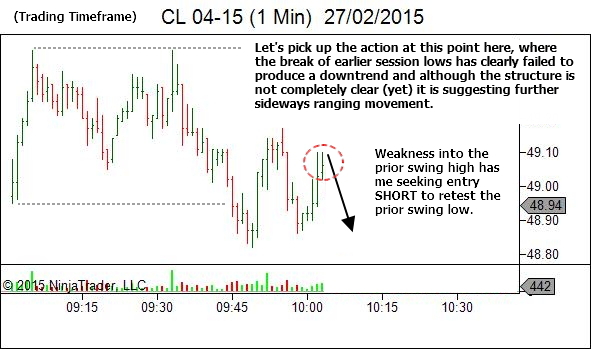 In this case, a strong and persistent trend with low volatility (small, shallow pullbacks). 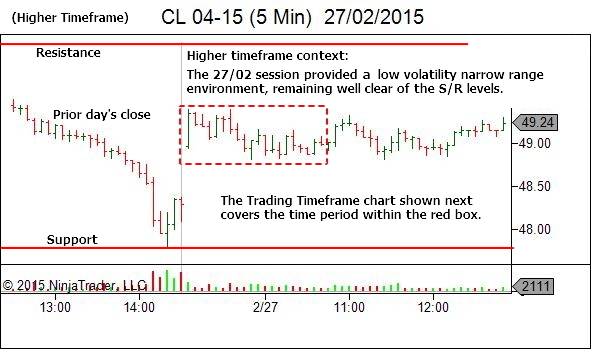 Determine clear and objective rules to confirm this type of trending environment. 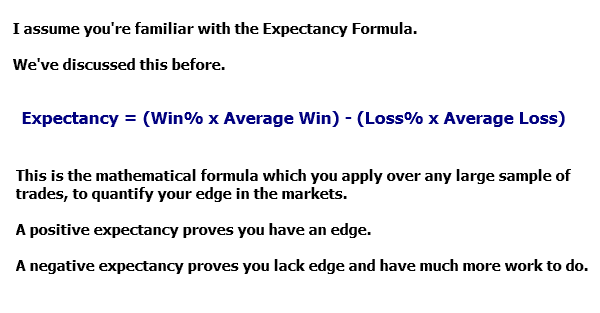 (b) If there is some reason why you prefer not to trade with-trend, then stand aside. Dig into your stats. 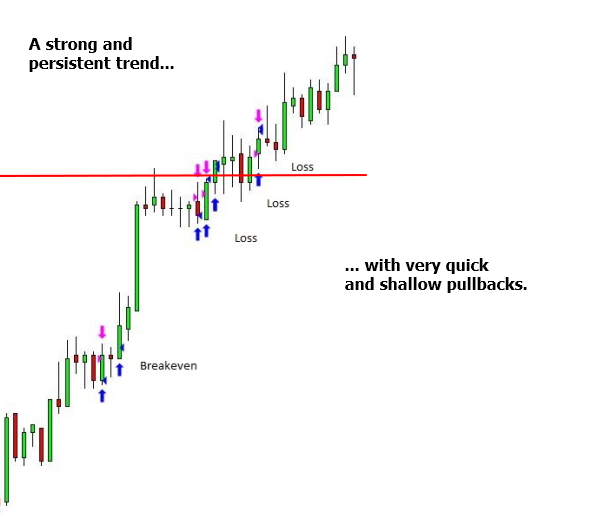 Examine all occurrences of counter-trend trading within a strong, persistent, low-volatility trend. Is there a subset of trades within this data which DOES offer a positive edge? Entries which involve size traded at the extreme high? There may be nothing there. But if there is, FIND IT. And then only trade the positive expectancy subset. Of course, continuing to track results to confirm this positive expectancy continues into the future. You believe there is potential with these trades. You don't want to trade them on sim, because you feel you need some "skin in the game". And cut the position size to a fraction of your normal size. Continue to track results and work to improve over time. Option 1 is of course the simplest. And it provides a very quick solution. But it's not the only option. 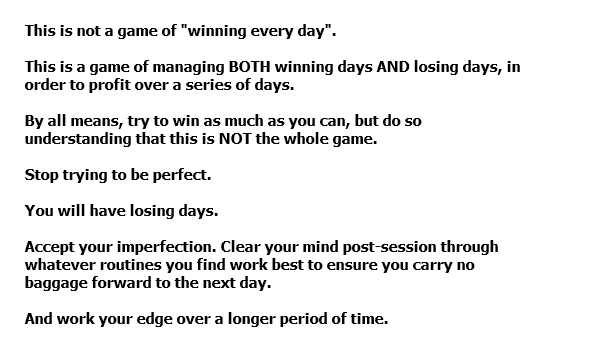 In discussion with traders who are fighting against a negative expectancy setup or environment, I find they're often unwilling to give it up. That's fine. There are other options. Dig deeper to find a more highly selective setup, which does offer a positive edge. Or cut size and continue to "more safely" build skill and expertise. 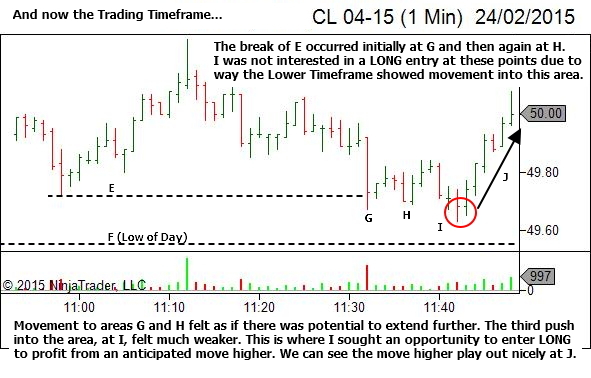 EDIT: From a discussion with another trader on twitter it appears I did not make the following point clear enough. 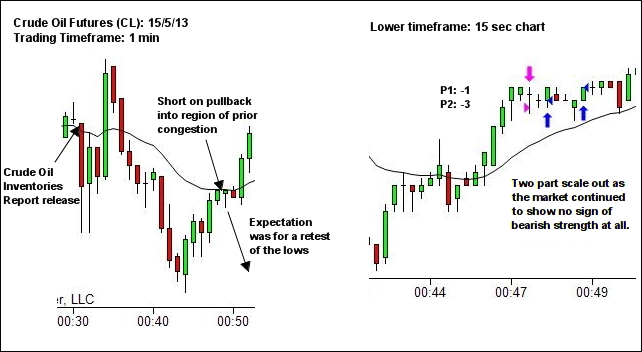 The intent of reducing size (option 3) is to allow you to continue trading more safely WHILE determining why it’s a negative expectancy and turning that around to positive. There is no point just reducing size if you do no further work on attempting to correct the issue. Simply reducing size on a negative expectancy setup will still provide a negative expectancy, albeit smaller. You MUST continue to study the problem. Identify the cause. And correct it. Then work to slowly and incrementally increase size again, as success is proven at each level. The problem may be contextual. It may be an execution issue. Whatever it is, reduce size so that any negative edge can be easily absorbed within your other results, and then work to fix the problem. Sometimes the markets can seem so cruel. I've covered quite a few topics throughout 2014, but I believe the most important by far has been my attempt to have people looking for success over a series of trades, rather than on any individual trade. 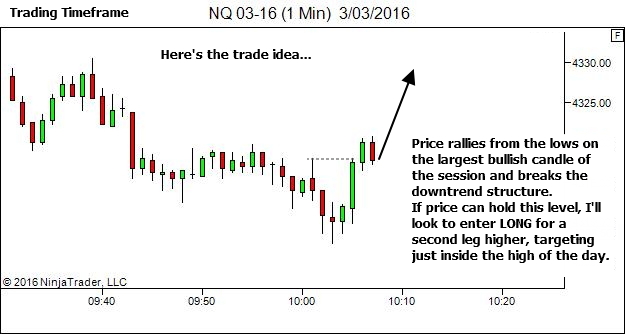 Not every trade idea works! But that's ok and that's normal. Keep the losses contained. 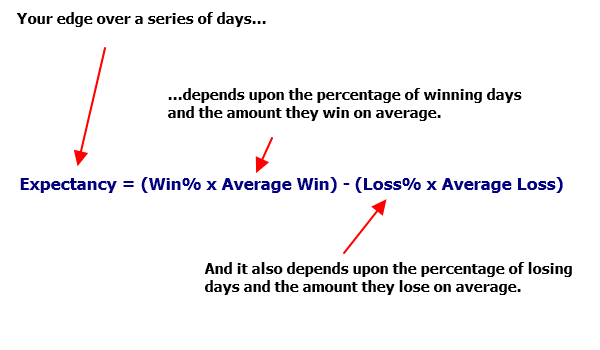 And work to ensure those that do win are larger (on average) than those that lose. 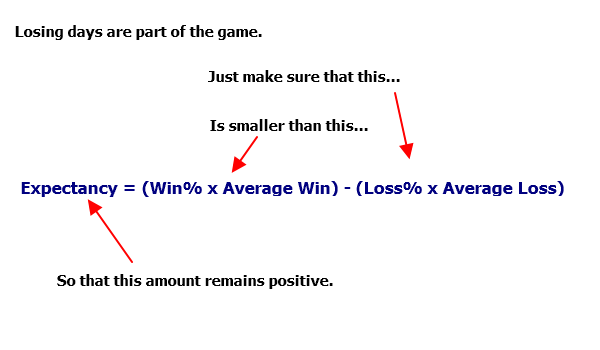 Your aim is to have more focus on the Win/Loss Size Ratio (WLSR) and less on the Win Percentage (Win%). Your aim is to focus on profits over a series of trades with less concern for results on individual trades (win or lose). 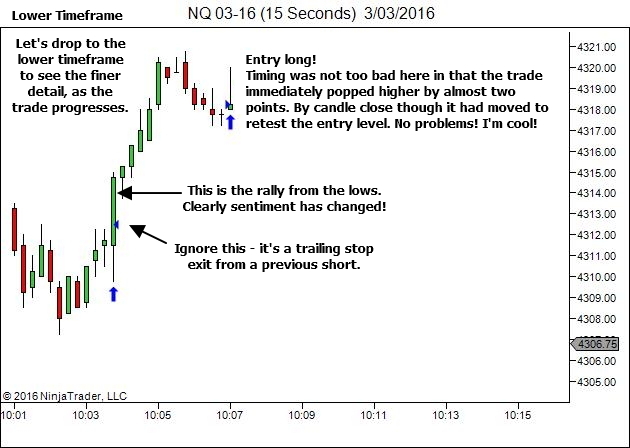 "No matter how long you trade, you'll never do it perfectly. Case in point. A friend of mine is a retired market wizard. This man has made over $100 million trading futures. He told me that his biggest weakness was that he never mastered his exit strategy!" Imperfection is part of the game. Expect it. While you should always seek to minimise error and to improve your market reading skill and decision making abilities, you cannot ever completely eliminate imperfection. Instead, your job is to learn to profit over a series of trades, despite the presence of imperfect decisions and actions.